Space will be limited in order to accommodate ample opportunity for reflection and discussion. 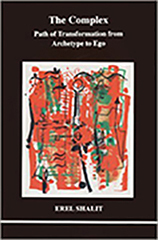 In his essay 'The Stages of Life,' Jung discusses "the problems connected with the stages of life," claiming problem to be the kernel of culture and consciousness. Jung clearly aims at living theconscious life, just like Socrates declared the unexamined life not worth living. On our journey through the stages (or ages) of our life, we encounter the archetypal essence of each phase, and are challenged by the essence of meaning that we are requested to deal with on our journey. 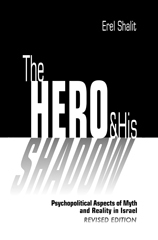 This presentation will explore crucial archetypal images of the journey and the stages of life, and tell some of the stories, with references to, among others, Pirandello, Kafka and Oedipus at Colonus. 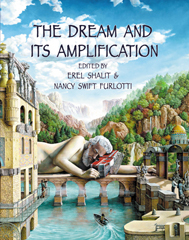 Dr. Erel Shalit is a Jungian psychoanalyst in Ra’anana, Israel. He is a training and supervising analyst, and past President of the Israel Society of Analytical Psychology. He is Founder and Director of the Jungian Analytical Psychotherapy Program at Bar Ilan University. He is a past Director of the Shamai Davidson Community Mental Health Clinic, at theShalvata Psychiatric Centre in Israel. 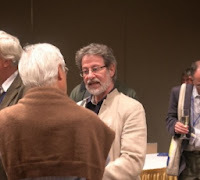 His most recent books are The Cycle of Life: Themes and Tales of the Journey(2011; the book received the Eric Hoffer Book Award Honors in Culture, 2012), Requiem: A Tale of Exile and Return (2010), and Enemy, Cripple & Beggar: Shadows in the Hero’s (2008; the book was a nominee for the 2009 Gradiva Award for Best Theoretical Book, National Association for the Advancement of Psychoanalysis). Entries, chapters and articles of his appear in several books and journals. He wrote the chapter on Jerusalem in Tom Singer (ed. ), Psyche and the City. He is on the editorial board of Quadrant. 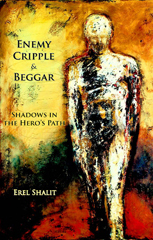 For more information, visit www.eshalit.com. Advance registration is required. Space is limited to 50 participants. The registration fee is $100 and includes the class, reception, and CEUs. To register, please call the Public Programs Department at 805.969.3626, ext. 103. To obtain a refund on your registration fee, send a written cancellation request via email no later than the Monday before the class. Tuition less a $15 processing fee will be refunded. No refunds on your registration fee will be made after that time. In the event that the program is sold out with a waitlist, if you return your seat to our office, and if we are able to transfer your registration to someone on the waitlist, we will issue you a refund less the processing fee. Any registration transfers that do not go through our office will be assessed the processing fee onsite. A confirmation will be sent via email. The class will be held at Pacifica Graduate Institute’s Ladera Lane Campus, 801 Ladera Lane, Santa Barbara, California, 93108. A limited number of rooms are available for participants on a first-come, first-served basis at the rates below (plus 10% occupancy tax) at Pacifica’s Ladera Lane Campus. Accommodations are simple, dormitory-style rooms with shared bath and shower. All reservations and changes in accommodations must be made through Pacifica’s Public Programs Department. Payment is due at the time of your reservation. Cancellation for accommodations with full refund is accepted up to 5 days before the event. Cancellations made 1-4 days before the event will receive a 50% refund. There will be no refund for cancellations on the day of the event. 3 Hours of Continuing education credit is available for RNs through the California Board of Registered Nurses (provider #CEP 7177) and for MFTs andLCSWs (provider #PCE 2278) through the California Board of Behavioral Sciences.